SME’s can find out why thousands of business owners have taken advantage of the opportunity to use their pension funds to buy commercial property, at a seminar to be held at the Midlands Business Network Expo, at Hinckley Island Hotel, Hinckley, on Friday 2 November. Senior Financial Consultant David Santaney from Westerby Investment Management will be joined by Business Development Director Ian Jarvis from Westerby Trustee Services, to explain the advantages of SME’s using their pension funds to buy commercial property to operate their businesses from. The seminar, which will run from 12.45pm to 1.15pm, will explain how businesses can immediately benefit from funding a SIPP/SSAS property purchase and at the same time build a pension fund that will provide significant benefits on eventual retirement. 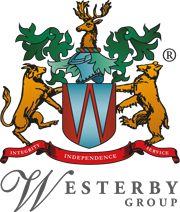 Westerby Investment Management is a leading firm of Independent Financial Advisers based in the East Midlands. Westerby Trustee Services is a specialist provider of pensions on a “member-directed” basis (SIPP and SSAS) which enables the individual to choose their own pension investments (subject to HMRC rules) including commercial property used for business purposes. Business Development Director Ian Jarvis says the Midlands Business Network Expo provides a fantastic opportunity for small SME’s across the region to hear more about the advantages of investing in a SIPP / SSAS product. “Westerby Trustees Services are finding an increase in demand for member directed pensions through SIPP and SSAS’s with business owners becoming more aware of the benefits they bring. These include significant tax reliefs, greater investment control and flexible retirement options”.